West Coast Shutters & Sunburst, Inc.
Family owned and operated West Coast Shutters & Sunburst, Inc. manufactures superior poplar wood interior shutters and commercial moldings, by furnishing elegance for your windows and doors; traditional or contemporary styles, enhancing your view, with our famous unique hidden control rod. 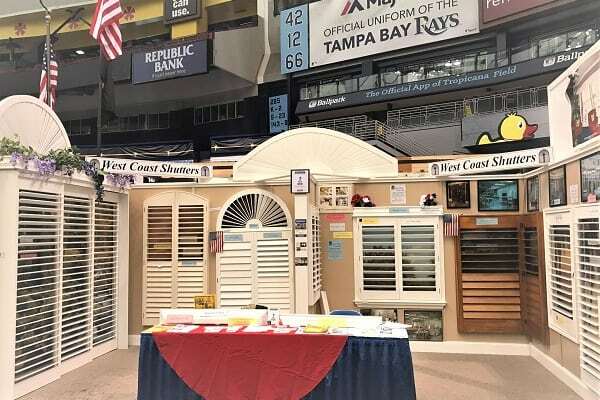 Superior quality is the defining attribute of our plantation shutters at West Coast Shutters & Sunburst, Inc. Our shutters are made of Poplar Wood to ensure exceptional strength, mortise-tendon construction and durability you won’t find with composite or MDF boards. 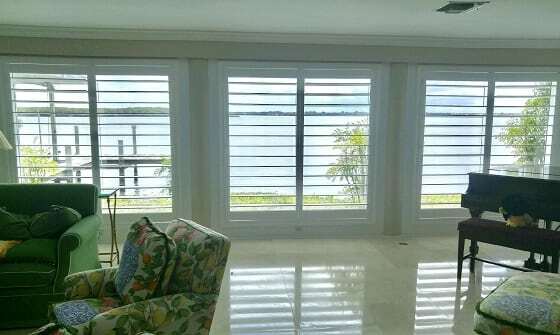 Our shutters do not require divider rails, which are horizontal braces through the middle of the shutter needed to provide durability. West Coast Shutters creates window arches for any shape, such as semi-circles (Sunbursts), elongated sunbursts (Tombstones), squared-sided sunbursts (Eyebrows), stop sign shaped (Hexagons) and unique-shaped (Trapezoids). They are all built to the window dimensions. 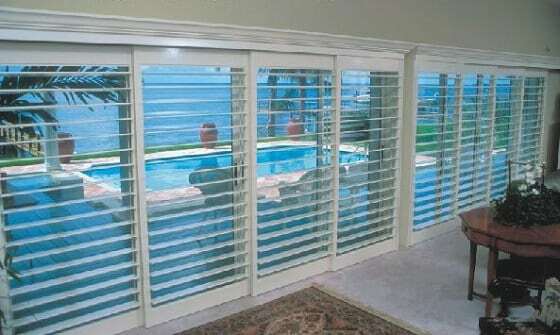 The perfect shutter solution for sliding doors that won’t interfere with flooring. Featuring 4 ½” (vane size) hidden control rod shutters, installed with tracking at the top. Available with optional crown molding. 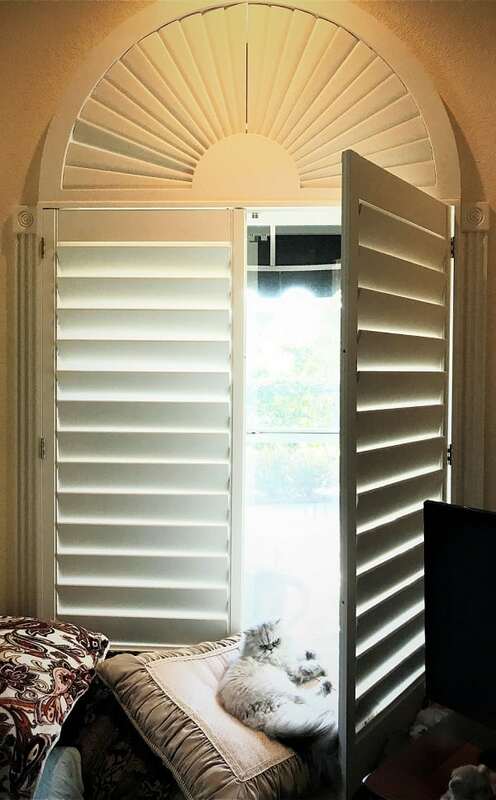 Bypass shutters can be designed to slide past your glass doors and stack on the walls to the left and right of your door wall. We have our very own style for mounting a shutter upon your french doors with a lever handle. The unique style is a small rectangular solid block, fitting behind the lever handle, the frame goes around the block, leaving slats from top to bottom, with a minimal area to accommodate the handle. Unlike other companies using a half circle along with a huge rectangular block that is double our size and blocks your view. Our highly trained experienced crews will bring our creations to life in your home or business. They are licensed and insured and will deliver on-time installations that fit your busy schedule. We are the only company that provides extra slats and touch-up paint, which are delivered at the time of your installation. 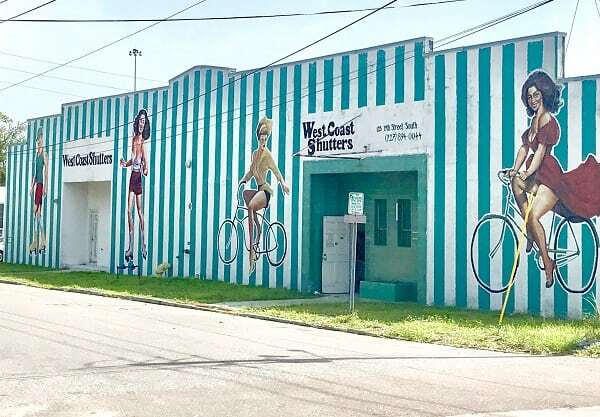 West Coast Shutters uses a superior lacquer paint finish which can be toned to over 200 different shades of white. We use a quality semi-gloss finish that cleans very easily and withstands the Florida sun for many years. We can match up to 50 stain finishes as well, in a lacquer semi-gloss process that brings the beauty of the wood grain out to its fullest! Being the local manufacturer, we have total quality control of our paint and stain finishes, applied in our very own spray booth. 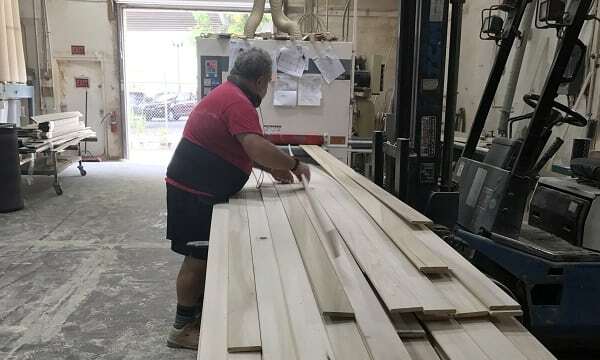 This is why the extra slats we custom paint for you are made along with your shutters, in case you have a mishap down the road. We manufacture custom solid wood trim (not finger-jointed)(not fake wood). 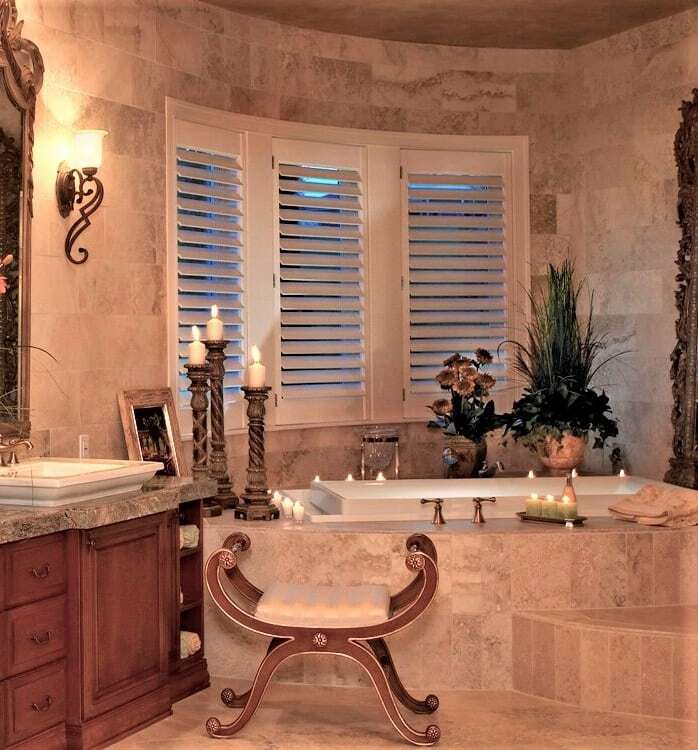 You will be working with a local manufacturer that delivers the industry’s leading craftsmanship of shutters and trim. We use a high tech 6 head molder to produce custom trim along with various wood species. Our large knife stock which includes the old T & H catalog provides us with many custom baseboards, casings, crown moldings, chair rail and plinth blocks. Radius work and flexible trim is offered as well. We have a variety of other catalogs at our factory that you can choose from along with our knife grinding machine that allows us to duplicate custom profiles too. Pre-priming is also available upon request. We manufacture custom moldings and delivery is possible depending on the area requested. We do not install custom moldings.